The photo looks great to me as do the puppets! 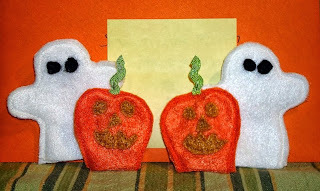 Very cute spooky finger puppets. These are fab! I've been wanting to make some finger puppets or glove puppets since forever! The quality of the photo looks good to me. You are on a roll with finger puppets!!! They look great!!! These are too cute. Someone is going to love the hours of play time with them! !